Equiano was captured from his home in Nigeria at the age of 11 and sold into slavery. He was taken to Barbados in the West Indies and from there sold to a British naval officer in America, who renamed him 'Gustavus Vassa'. Equiano's second owner, a Quaker merchant, taught him to read and write and introduced him to Christianity. In 1766 Equiano was able to make enough money to buy his freedom. He became a sailor and travelled to London, where he joined the abolition movement. 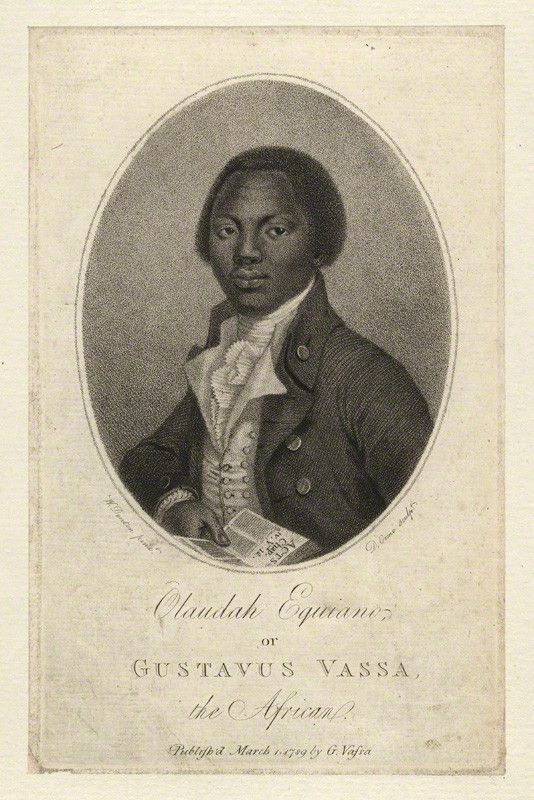 In 1789 he published an autobiography, The Interesting Narrative of the Life of Olaudah Equiano or Gustavus Vassa, the African, about his life as a slave. It became a bestseller and helped the abolitionist cause. Ghanaian Cugoano was also sold into slavery as a child, for the price of 'a gun, a piece of cloth, and some lead,' he wrote later. He worked on plantations in Grenada and was brought to England, where he was granted his freedom. He became a Christian in 1773 and was baptised 'John Stuart'. Cugoano worked as a servant to an artist and published a book in 1787 about his new life, entitled Thoughts and Sentiments on the Evil and Wicked Traffic of the Commerce of the Human Species. 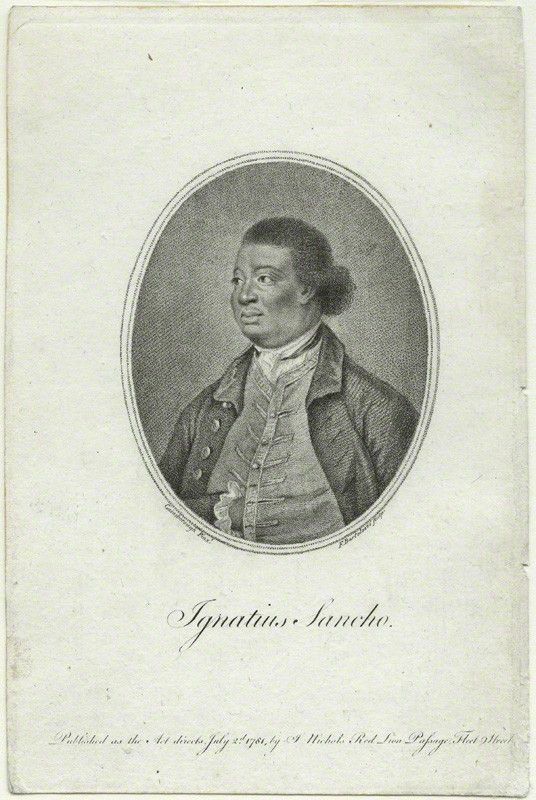 He travelled all over England promoting his book and became a friend of Olaudah Equiano and another key abolitionist. Sancho was born on board a slave ship in 1729. He came to Britain as a child slave and lived in London with his new wealthy owners, who eventually made him their butler. After many years, he left his owners and became a shopkeeper. He was a gifted composer and appeared on stage many times. It is believed that Sancho was the first African to vote in a British election. He also wrote many letters during his lifetime and these were collected and published two years after his death in 1782. The artist and painter Thomas Gainsborough painted Sancho in 1768. The engraving of him pictured above is based on Gainsborough's portrait. Mary Prince became a key figure in the abolition movement because of her experiences as a slave in the West Indies. Prince had been born a slave in Bermuda and at the age of ten she was parted from her family and sold to various slave owners who treated her poorly. She was taken from the island of Antigua to Britain in 1828 by her new owners who lived in London. As slavery was no longer legal in Britain, Prince was able to leave her owners and join the Anti-Slavery Society. In 1829, Prince asked parliament to grant her freedom so that she could return to the West Indies, where at this time, slavery was still permitted. She was asked to give an account of her life as a slave for the abolitionist movement and it was published as The History of Mary Prince in 1831.